Front row: Kevan Brown, Darren Hughes, Kevin Bremner, Doug Rougvie, Gary Rowell. Dean Wilkins, Steve Penney. 1. Mark Leather (physio) – runs his own practice and is a senior lecturer at Edge Hill University. 2. Richard Tiltman – Runs CTW Financial Services Ltd in Worthing. 3. 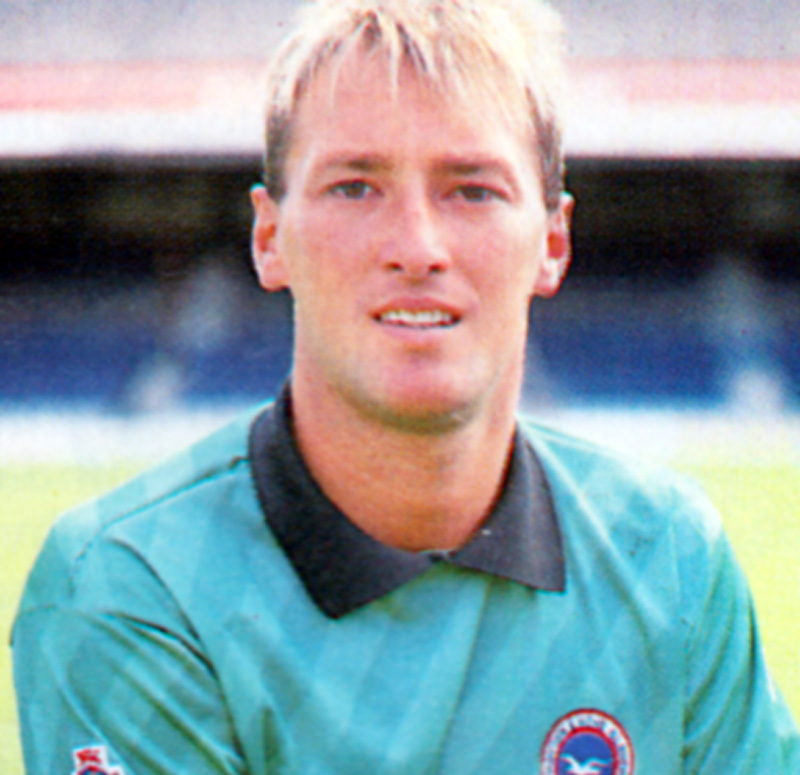 Trevor Wood – the former Northern Ireland international goalkeeper is now believed to be living in the Eastbourne area. 4. Gerry Armstrong – after managing Worthing and two spells as Northern Ireland assistant manager, he is now a television pundit for Sky Sports and ESPN Star Sports. 5. Grant Horscroft – is now living in Uckfield. Has become a data controller for a fastener distributor. 6. Mike Trusson – became youth team coach and then first team coach at Bournemouth. Is now a coach educator, working for various county football associations. 7. Garry Nelson – based in Essex where he has a number of business interests. 8. Dale Jasper – was last known to be living above a pub in South London and working in the building industry. 9. John Keeley – after six seasons at Brighton as goalkeeping coach and pitman, he left to make the switch to Portsmouth. 10. Damian Webster – he now works in the rail industry and is operations director of a trackside systems company. 11. Ted Streeter (youth development officer) – lives in Horsham, where he ran the Ted Streeter Football Academy. 12. Barry Lloyd – after managing Worthing and working for a BMW dealership, he returned to Brighton as chief scout and now scouts for the development squad and youth set-up. 13. Steve Gatting – the brother of England cricketer Mike has been an academy coach at Arsenal since 2007. 14. Chris Hutchings – he has managed Bradford and Wigan in the Premier League as well as being in charge at Walsall. Is now Paul Jewell’s assistant at Ipswich. 15. Rob Isaac – Became a personal assistant for a well-known racing family. 16. Perry Digweed – lives in London and is a property owner who runs an executive chauffeur service for racehorse owners. 17. David Gipp – lives in Barkingside. Earns a living by buying and selling as an East End trader. 18. Ian Chapman – Managed Whitehawk and coached at Brighton. Is now coaching at Lancing College Prep School in Hove. 19. John Crumplin – He has managed various clubs in Sussex and Surrey and is now working in the building industry. 20. Martin Hinshelwood (coach) – is currently the Seagulls’ director of football after holding a series of other posts including caretaker-manager twice and a brief stint as manager. 21. Kevan Brown – he is now director of sport at St Francis School, an independent school based in Pewsey, Wiltshire. 22. Darren Hughes – Lives in Warrington and has been a painter and decorator. 23. Kevin Bremner – worked in the academies of Millwall and Gillingham and works as a subcontractor in the building industry. 24. Doug Rougvie – is now living in the Aberdeen area and works in engineering after running his own design company. 25. Gary Rowell – after working as a financial consultant in Burnley, he worked as a summariser for Real Radio and a columnist for the Sunderland Echo. 26. 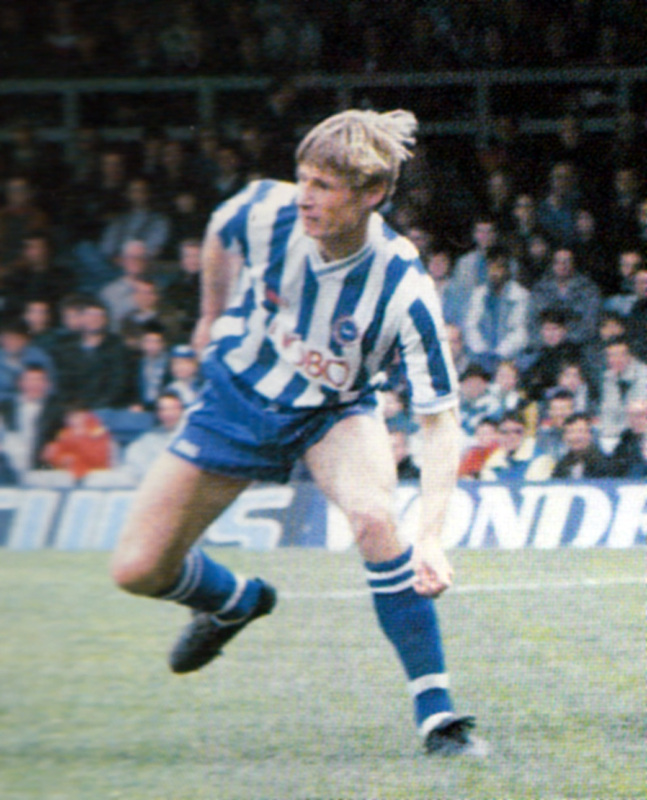 Dean Wilkins – he held various jobs for Brighton after hanging up his boots before moving on to Southamtpon where he has been assistant manager and now first-team coach. 27. Steve Penney – returned to his native Ballymena in Northern Ireland where he became an optician. Kevin Bremner proved he was something of a lucky mascot for the Seagulls when it came to winning promotion from the Third Division. The Scottish striker had already helped former clubs Millwall and Reading climb out of the division before moving to the south coast. And then for the third time in four years he scored eight goals and was part of a promotion winning side as Brighton finished runners-up to Sunderland. Sunderland ran away with the title, finishing nine points ahead of Brighton, who themselves were two points ahead of third-placed Walsall. Promotion was secured in the last game of the season when Bristol Rovers were defeated 21 at the Goldstone Ground thanks to goals from Bremner and Garry Nelson, who netted 22 in the campaign. Despite the champagne corks popping in the changing room, Bremner and fellow Scot Rougvie decided against hitting the town. “We never went out to celebrate, we just stayed in with our families and ended up in the street playing football with our kids!” he added. Bremner and Nelson – the Y front men! Brighton manager Barry Lloyd currently has the chirpy air of someone who has cheated the gallows – and well he might, for a year ago he was on soccer’s Death Row. 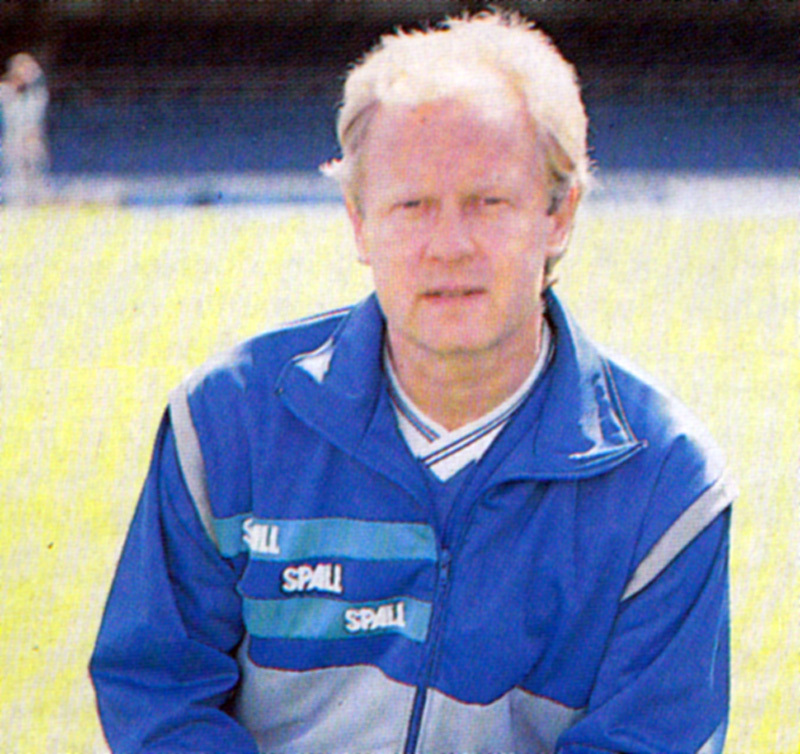 Having taken over an already ailing club in January 1987, Lloyd had to wait 15 matches before The Seagulls finally gave him his first victory in charge – a run which left them firmly anchored at the bottom of Division Two. By the end of the season, crowds had slumped to less than 6,000 and most of those who bothered to turn up did so only to call for Lloyd’s head as The Seagulls took a swallow-dive into the Third Division. 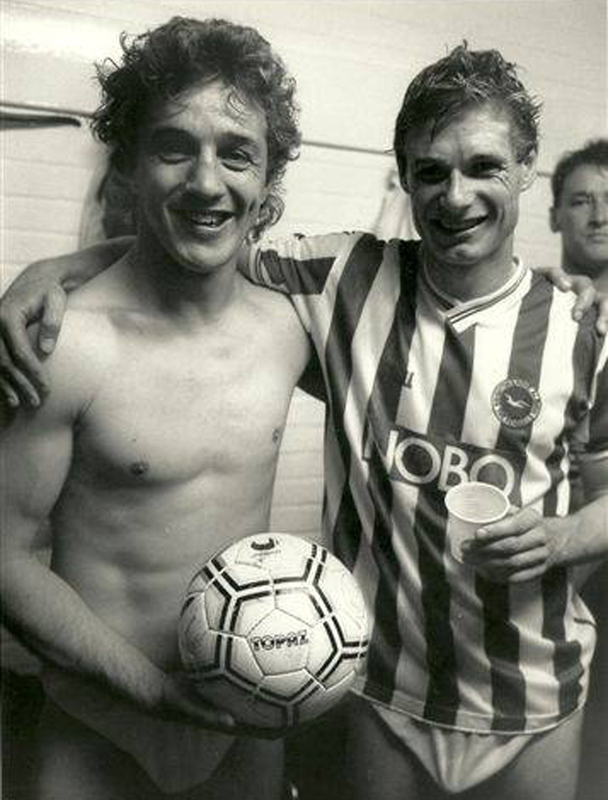 Yet, 12 months later, the condemned man was a local hero, with nearly 20,000 fans filling the Goldstone Ground as Albion won their last game of the season to claim promotion following a late run. With hindsight, despite calls for Lloyd to be sacked, he probably had one of the safest jobs in the country in 1986/87. After Mullery was sacked, it appears that Barry Lloyd’s task to the end of the season was to decimate the side by replacing its high earners with reserve players and non-league signings, even if it meant relegation to Division Three, which it did. Hence the introduction of untried players such as Kevan Brown (Southampton), Robert Isaac (Chelsea), John Crumplin (Bognor Regis Town), Richard Tiltman (Maidstone) and Ian Chapman. Unsurprisingly, Albion finished bottom but having slashed the wage bill, Lloyd kept his job. Last term’s revival came after Lloyd had made major changes at Brighton and one of them proved to be an inspiration. “Sometimes you get a little break, and Garry Nelson was one of them,” says Lloyd. Nelson, who cost £70,000 from Plymouth before the season started, scored 32 goals and proved a revelation as a striker after years as a left-sided midfielder. Former Southend goalkeeper John Keeley, playing his first full season back in the game after dropping out to combine taxi driving with playing for non-League Chelmsford, was another star performer. 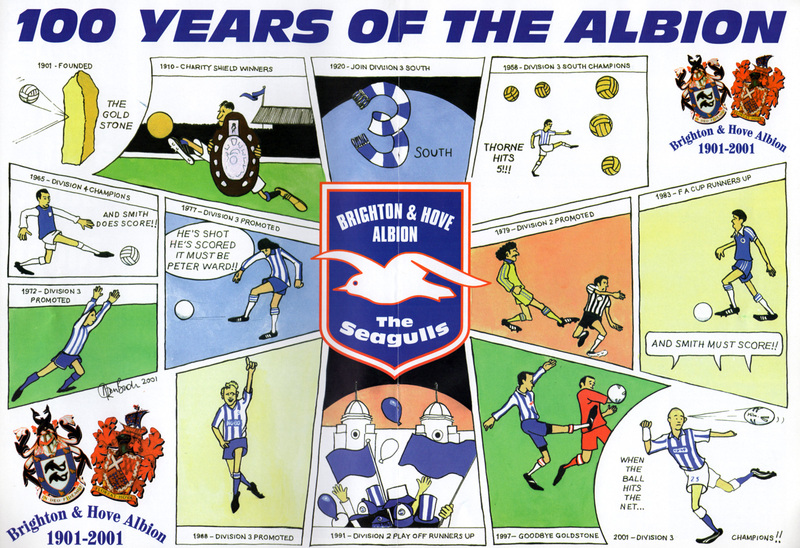 And although Brighton are struggling to reproduce last season’s form, Nelson, Keeley and the experience of Alan Curbishley, Kevin Bremner and Steve Getting – who has signed a new contract – could well have The Seagulls crowing again. Lloyd had much to smile about come May. 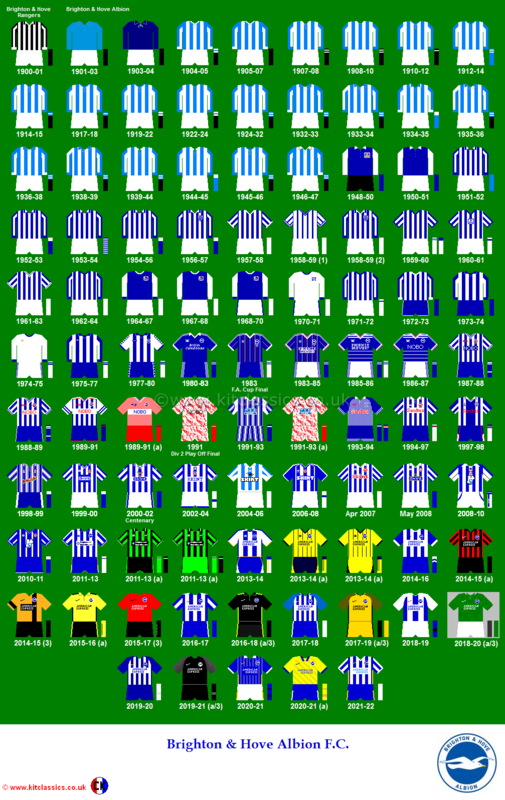 Seen by many as certs for relegation, Brighton finished a creditable 19th position in the Second Division in 1988/89, even after a dismal start. Next campaign, with expectations still low, the Seagulls finished one place higher, with Sergei Gotsmanov’s brief spell cementing Lloyd’s reputation as a man with an eye for a bargain. 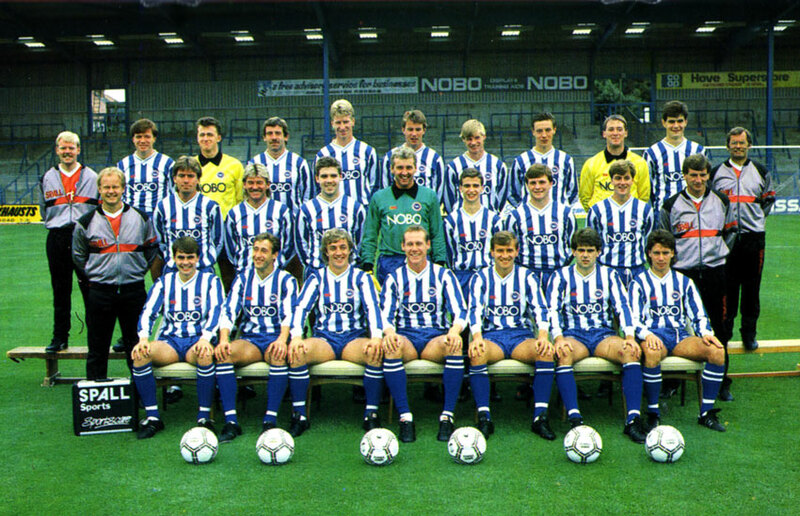 Nobody, not even the most optimist fan with blue-tinted specs, could have predicted that Albion would mount a promotion push the season after, in 1990/91, but they did. In the Play-Off Final in the sunshine at Wembley against Notts County in June 1991, the club stood one game away from Division One. It was at this point that the Barry Lloyd success story ended. The game was lost and within twelve months, after an exodus of key players, the Seagulls were back to third tier football. “I want to play in the First Division. After all, it’s the only division I haven’t played in. But to suggest I will leave Brighton to do it is pie-in-the-sky. I’m very happy at Brighton, and I’m delighted at the way things have progressed since I’ve joined. Nelson eventually hit 32 goals during the campaign, an outstanding personal achievement although four short of Peter Ward’s club record of 36 in 1976/77. Nevertheless, it certainly helped the promotion push that ended in success on the last day of the season.